What a day! With this being one of the last days I can wear these tiger booties, I’ll be taking full advantage before saying goodbye for the spring/summer season. I’m beginning this Monday with several morning appointments before heading back to the office to get Lucy and Laurie on the same page with the goals for the week. I’m fortunate to have staff that supports me and my many missions, especially the one I’m focused on this week, which is the Annual Golf Classic in memory of our son, Frank J. Reali, 3rd. I know I sound like a broken record, but I’m attaching the flyer again. Please share with your friends and family. Back to business. And this afternoon’s business is a visit to the dentist, my most favorite thing to do, LOL. Then its back to the office to meet with one of my buyers to get their offer signed and submitted. In this very low inventory market potential buyers are needing to make fast decisions, and having the right realtor can make all the difference! So if you are interested in buying or selling a home, feel free to call me at 718-442-5200. Just two weeks to go before the 7th Annual Golf Classic in memory of our son, Frank J. Reali 3rd! Please friends, if you haven’t already, reach out to me at 718-420-2331. Frank and I have worked tirelessly to save other parents the grief from the loss of child due to Sudden Cardiac Death. Even if you aren’t a golfer, there are so many other ways to help us further this mission. Call us to find out how. Back to business. Saturday was one of my busiest of the year so far, beginning with early morning showings of investment properties to one of my buyers. I drove over to the office to finish up a listing on a great investment property in the heart of West Brighton. Watch for that one to hit the market on Monday! You won’t want to miss this one! From there, I hurried over to my open house in Randall Manor. What a good turn-out for my homeowners. This is a lovely property that won’t be on the market long! Back to the office to do some work on my graphic novel, which I hope to have published by the end of 2016, and of course, endless Real Estate paperwork. Saturday evening, since Frank was in Pittsburgh with our grandsons for a tournament, I spent some alone time on the couch and fell asleep early. I’ll see you all in the morning! 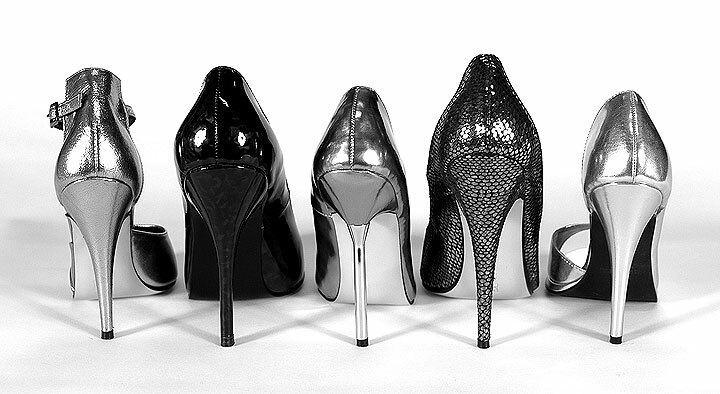 And remember, its always a woman’s right to shoes! Sunday morning, and what a morning it is. What a fabulous day to be working outdoors! Today I will be showing numerous investment properties to my buyer, and the weather just couldn’t be better. After a long day in and out of buildings of various size, I’ll be heading home to wait for Frank to get back from Pittsburgh with the boys. While I wait, I’ll be meeting with some agents at the office to do some training. Can’t wait for my love to come home. We’ve got a busy week ahead. Be sure to check my Facebook, Twitter, and Blog to keep yourself up to date! What a day! I began my morning with an accountability meeting at the Office with my wonderful staff, while Frank attended a meeting at SIBOR. After the meeting, I spent some time with mom, who I am excited to say is doing much better, and coming home tomorrow! Back to the office to help one of my new agents with an offer presentation, then a meeting with two gentlemen from United Activities Unlimited to discuss the placement of interns in local offices. Met with Lucy and Laurie to plan out the rest of the week, including a group interview tomorrow for a part-time, permanent Front Desk Assistant position. I hurried over to Manor Road to meet an appraiser, then back to the Office to finish assembling the candy boxes and prize wheel for the Bridal Expo at the Staten Island Hilton. What an honor it is to be the only Real Estate company on Staten Island to be invited to attend this wonderful networking opportunity. I met so many excited brides-to-be and their families. I’m looking forward to working with them in the future. A message to all those soon-to-be brides: Remember, its ALWAYS a woman’s right to shoes!